Villa La Estancia is an exclusive community offering both full and fractional ownership with the amenities of a 5-star resort. Located on the infamous swimable Medano beach in Cabo San Lucas with lush surroundings and unparalled views of the Sea of Cortez and Lands End, Villa La Estancia offers a unique lifestyle second to none. Villa La Estancia is located close to world-class sport fishing, championship golf courses, shopping, world class marina, owners of this resort will also enjoy a myriad of on site amenities. 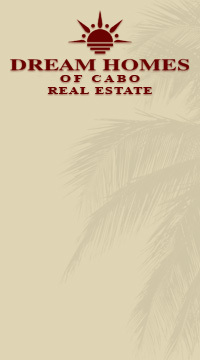 Villa La Estancia also has a well established rental program and on-site property management. "It was hard enough to make the decision to sell my villa in Cabo, and the two potential transactions that failed to close with other agents at Estancia only made matters more difficult. I felt comfortable and confident when, Giovanni Giammarco, shared with me his background of 25 years of real estate experience and commercial success in the U.S. He is also one of our villa owners, past President of the HOA, and founder of Cabo La Estancia which is the number one rental company for Estancia online. Cabo La Estancia has provided me with significant rental income on PH3502 over the past several years and Giovanni was always personally involved, using his expertise to maximize my cash flow on the villa. Consequently, I knew there would be no one I'd trust more to represent me when I decided to sell my Cabo Penthouse." "Purchasing property in a foreign country can be a challenge but Giovanni Giammarco made our transaction one of the easiest we have experienced. He was reliable, provided open communication throughout the entire process, and was available every step of the way. Because of his tenacity and determination, we were actually able to close early and now are the proud owners of PH3502 at Villa La estancia, our new luxury dream home."